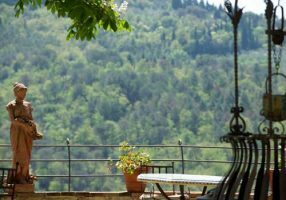 Villa Amata is a truly remarkable villa in Tuscany that has just about everything you could want in a luxury Tuscan villa. Your stay is sure to wonderful and memorable while enjoying all the wonderful features it has to offer. Accommodating up to 16 people with 8 bedrooms and 8 bathrooms, it has plenty of activities both outside and in. Not only is there a lovely pool with a view but the pool area has a kitchen and dining arbor. 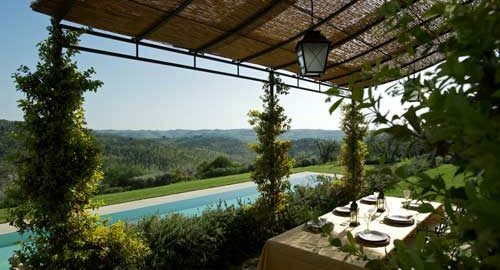 A tennis court and basketball court are nestled in the olive groves that surround the villa. Wander the property and hike in the hills.